Woking Area Guide - What makes Woking so great? Where do Woking locals go? Delicious Japanese food, loads of options, a nice atmosphere and fantastic service. A hidden gem! Freshly made food and brilliant breakfasts for a very reasonable price. A gallery and museum space with a canalside café. A lovely Italian restaurant in the heart of Woking. They serve a really nice veal dish and an amazing carbonara too! Italian food with fresh ingredients. Perfect for all the family and the set menu is a bargain too. World leading chef courses and cookery school classes. Best coffee in Woking found in the market! Share your favourite place to go to in Woking. "The lover of Lord Nelson, Lady Emma Hamilton used to live in Pyrford." What do you think of Woking? Woking is a large town and civil parish that shares its name with the surrounding local government district, located in the west of Surrey. It is part of the London commuter belt and Greater London Urban Area, located 23 miles (37 km) south west of Charing Cross in central London. Woking has a modern shopping centre called The Peacocks and an older shopping area, Wolsey Place. 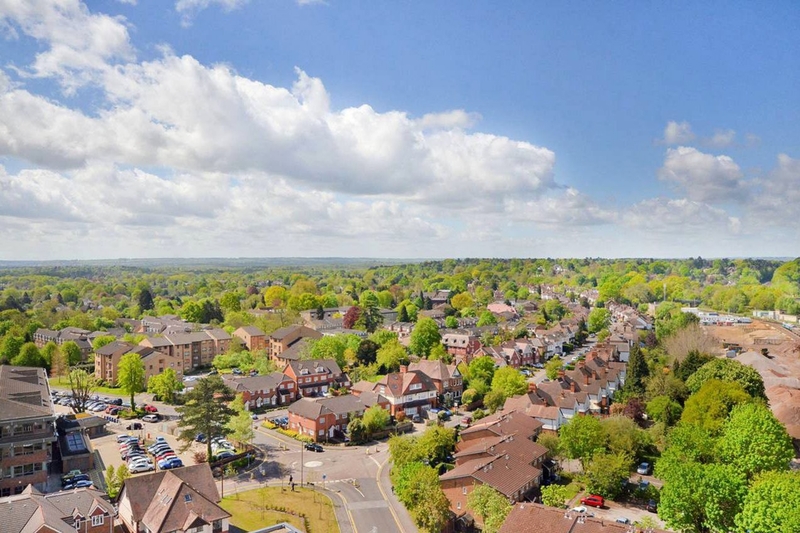 Woking has several suburban districts, including: Bisley, Horsell, Hook Heath, Mount Hermon, Barnsbury, Maybury, Sheerwater, Goldsworth Park, St Johns, Pyrford, Kingfield, Westfield, Ridgway, West Byfleet and Old Woking. The adjacent village of Knaphill is often considered an outer suburb of Woking. Old Woking is cited as a separate village. Mayford and Sutton Green are to the south on the border between Woking and Guildford. What are your favourite things about Woking? Find out how much your flat or house is worth om Woking. Feedback about living in Woking has been submitted directly by the public and may not neccessarily reflect the views of Foxtons. The description of Woking was modified from Wikipedia and is available under the Creative Commons licence. Land Registry data is Crown copyright. All the views and contributions contained within Foxtons Local Life are those of the contributors. All content is assessed before publishing for taste, however free opinion is encouraged. Foxtons accept no payment or sponsorship for content that is posted about Woking.